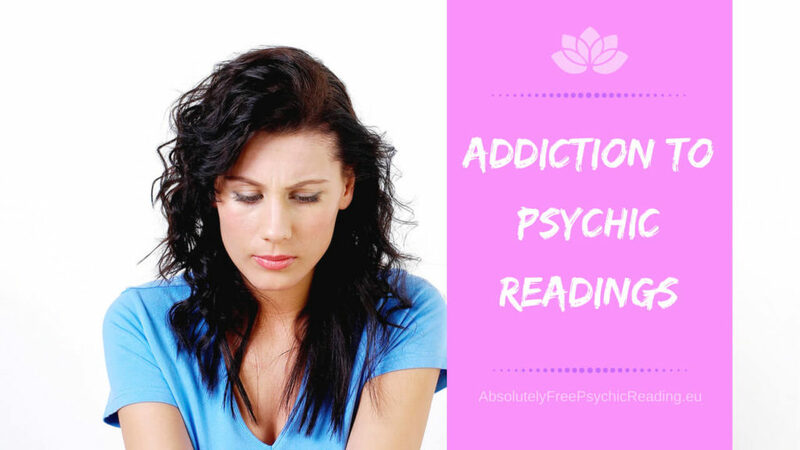 Top 6 Signs You Have Psychic Addiction - Addicted to Psychic Readings!? 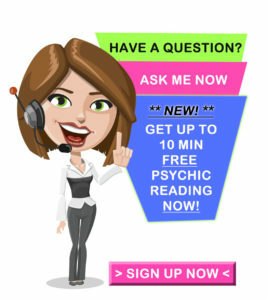 1 Why Do People Become Addicted to Psychics? 1.1 Do you have control over your life? 2.3 You do not need reading every day! 2.4 Not get Addicted - See, hear, go on! Why Do People Become Addicted to Psychics? Addiction to psychic readings has become a big problem from more than one reason. The biggest and worse is that in which the customer is being literally robbed not only of money but also of trust and integrity. Most of the problem with this is coming from poor understanding of psychic work in general and life in general. Do you have control over your life? Most of people are stuck in the situation where they can’t see a way out. From that aspect of the situation it feels like someone has a hold over them. But every single time that is not the case. With so much written and so much said and deeply rooted by the belief system of this world, people think they do not have at all control over their lives. No one knows who they are, and those who go to that direction and start understanding and believing in self, most fall back again and become a pray of addiction to psychic readings. You had more than 1 reading in a short period of time on same topic. Contacted the psychic soon after he/she told you about your situation, because you can not wait for a situation to work itself out – you want to know the outcome right now. Paid for a reading with your credit card, even though you know you will not be able to pay off your credit card. Jumping from one psychic to the other, because you didn’t like what you heard from the first one, or you want to double check it. Had multiple psychic readings and always asked the same questions without making any changes in your life. You are calling Psychics in “emergency”. There is always a way to prevent that addiction to psychic readings. And there are also some very simple explanations that everyone will understand and be able to follow. First things first, not every psychic is doing the rip off. There are many, way more of those who dedicated their life to help, yes some of them are ridiculously expensive, but there are also some that are not. And paying a lot of money or not if that very psychic is the one that helps you in finding your own path than that is the one person you need to go for. First step in finding your psychic that will protect you from addiction to psychic readings is basically to find the person that you can trust in every way. That means someone who will have your back, who will always tell you what they see, not only what you want to hear, if that is not what they see. Psychic ability is something that comes about with some safety nets and deeper understanding. And one thing is for certain and every single real psychic will tell you this; never ask one question too often, it will backfire! Do not cling to what you hear, future is in your hands and your hands only. Nothing is set into stone. You do not need reading every day! See every real psychic will not let you fall into addiction to psychic readings, for starters because you do not need psychic readings on same topic every day or even multiple a day. And it’s for one simple reason, what you get in a read is from that very moment in time when you are asking question, and that prediction is not going to manifest itself in one day, week or month, especially if you are holding on to that which you hear and not let it flow it’s free energy flow. Not get Addicted - See, hear, go on! See you need to hear it, note it, and then go on with your life as you normally would. You have to understand that clinging to that what you hear is literally suffocating the energy flow that is supposed to manifest the outcome, and with that all you are doing is making it last longer before it manifests. So given that information, you should understand why any real psychic will not like you to have reading after a reading after a reading in a short period of time, you need to let things happen first and only then continue. With that said and taken out of the way now you can understand why anyone who tells you to come back tomorrow or the next day on the same topic if already given the information will for sure be one of those who do want to earn extra money as oppose to provide mainly help. 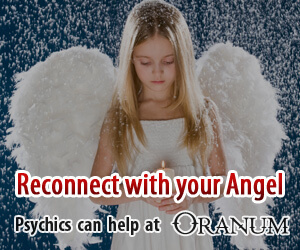 If you want to have a really good reading and you do not want to be ripped off, I suggest to have a reading with one of the Psychics at Oranum. Find the right one for you and see how they work before taking them into private reading! 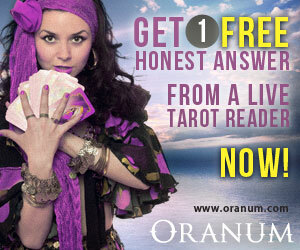 Click Here & Get Psychic Advice NOW! Are Psychics Real: Everyone is a Psychic! Which Zodiac Sign Should You Date?